What's not to like about solid state drives? They have no moving parts, run cooler, and are amazingly fast compared to the traditional platter-based hard drive. So what's stopping you from making the switch? 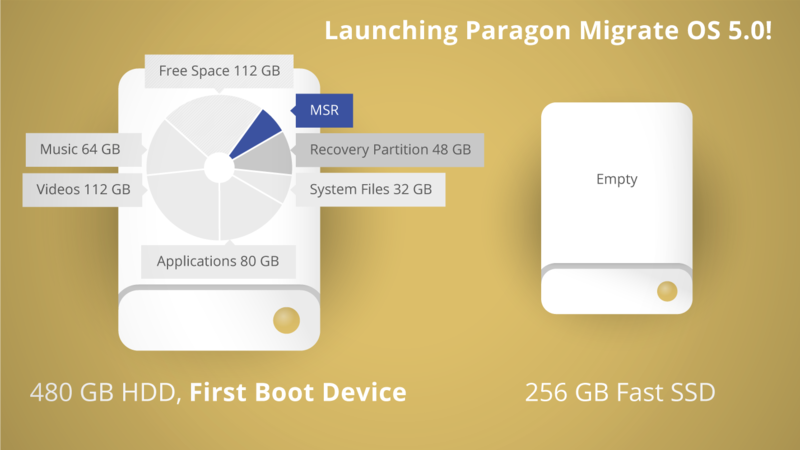 If you're nervous about migrating to an SSD and think you could potentially destroy all of your data, you'll find courage and reassurance in today's discount software promotion, Paragon Migrate OS! Paragon Migrate OS lets you perform quick, safe migrations of Windows and data to solid state drives and traditional hard drives. 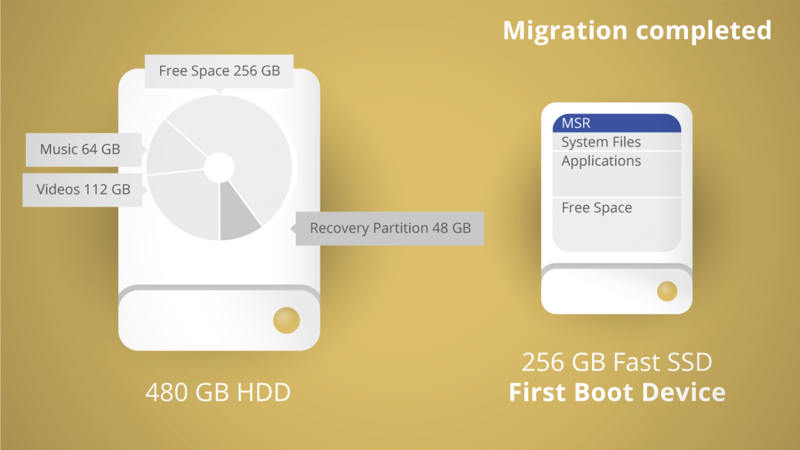 With Paragon Migrate OS, you'll be able to transfer a live operating system to your nifty new SSD with no adverse impact to your work, and retaining all partition information. That's it - you can say goodbye to those days of buying and formatting a new drive, then following the tedious process of reinstalling your OS and all of your applications. Of particular utility is the program's ability to migrate your Windows installation from larger hard disks to smaller SSDs in an intelligent fashion. 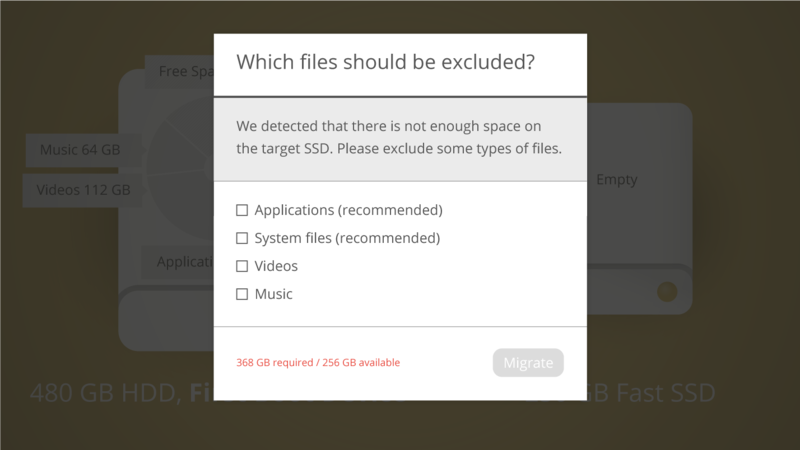 Just pick and choose which files and folders to exclude, and Paragon Migrate OS performs the migration once you're within the disk space limitation. The result - a fully functional, SSD-based computer that's faster and cooler than ever before! After you purchase Paragon Migrate OS 5.0 (English) it may be used indefinitely. Paragon Migrate OS 5.0 (English) is licensed per computer, and not per user. Rich OBrien I bought it. What a great program. Start it and it lists every boot drive which could be migrated to an SSD. And the list has long descriptions of every drive to help you to recognize the boot drive you wish to copy. Next it shows all SSDs if you have more than one. Its fast. It copied to SSD my complete Windows 7 64-bit 30 GB image in 10 minutes. And then a very helpful screen appears which reminds you which drive you just copied. 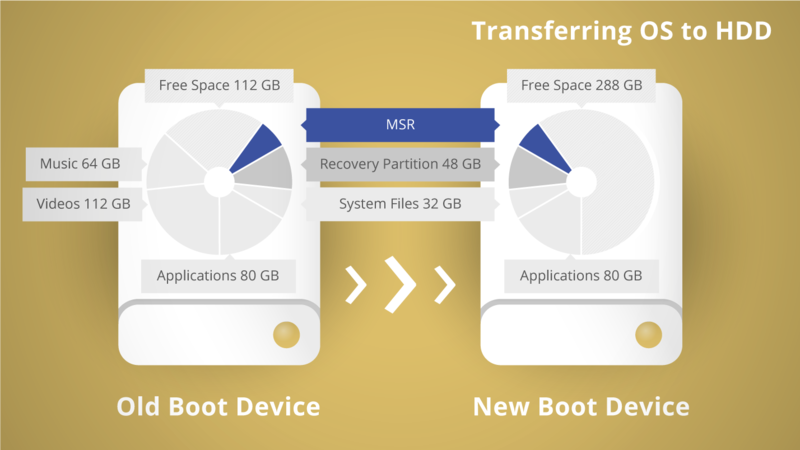 And it explains that you'll need to go into your Computer's BIOS at startup to make the SSD the first boot drive.. For years I've relied on Casper to clone bootable copies of Windows to hard drives. They claim it clones to SSDs but I couldn't get the Casper copy on the SSD to boot up. Paragon Migrate's SSD copy did boot up. An SSD will will make your computer seem like you have a new, super fast computer for less than $100, To avoid the hassle of spending days to reinstall Windows and reinstall all your software, you'll want to simply copy your boot drive to your new SSD. And this is the software to use because no other SSD migration software is this advanced. Only improvement I could ask for is to keep the target SSD's original name. For example if I copy a Samsung to a Patriot SSD, when done I want the Patriot SSD to not appear to be a Samsung. Robert User I'd love to buy this kind of software, but there is one big, big, big snag. My PC hibernates, and that means it will write the full contents of RAM to the SSD, as M$ does not allow you to move the hiberfil.sys to a normal disk. Why is this a problem? SSD's are limited, and when you write 24GB several times per day, you exceed the Samsung Pro 850 daily dose (of 40Gb) very, very, very rapidly. MK Not such a big, big, big snag at all. Minor in fact. Disable hibernation. The sys file disappears. Clone to SSD. Re-enable hibernation once SSD is booted up. Takes 2 minutes and is probably a good thing to remove such a big sys file before cloning anyway. Christopher J. Spilker Does this create a bootable CD/DVD or only runs from within an Operating System? Thank you. Chris. Christopher J. Spilker Thank you. Christopher J. Spilker Another question: the BitsDuJour e-mail indicates $ 13.96 and the actual page shows $ 15.96. 30% versus 20% off. Which is correct? if you click on 'Get this Deal', you will see it's $15.96. Maybe BitsDuJour can clarify here. robert User Win 10 is not mentioned...does this work with 10? Paragon Software @robert User Windows 10 is mentioned above, just below the large screenshot. laurent thiol I have to pay to upgrade from V4 to V5 ! Paragon Software @laurent My colleague provided the free upgrade to you. Rodolfo User Hi. I own V4 and would like to know if I can apply for special conditions on upgrading to V5 through this offer or if there is any other way to benefit from this.